We are passionate about finding new ways to use technology in our lives. For us, it’s about solving a problem, and we love solving problems! Creating a smart home is about designing and building a system that improves your life. We offer our design and installation services throughout the Hunter Valley and Newcastle, backed by our maintenance team. With the many products that are advertised as being “smart” or a “home automation” product, it’s no wonder the term smart home is blurred. Creating a smart home is more than just installing a few “smart” devices. Turning the lights on with your phone is a cool party trick, but doesn’t really improve your home. It’s not just about being able to close the garage door from work, or turn on the air conditioner on your run home. To utilising technology in a way that improves your life, means taking the time to think about how you live and make sure that the smart home actually helps you achieve that. Our approach, keep it simple. A simple system is elegant, easy to use, and easy to maintain and upgrade. Designing simply is quite often more difficult, although the outcome is worth the effort. We think a smart home needs to be easy to update and change. With that in mind, our systems allow changes to be made by the owner, making it easy to adapt the system to the changes in life. We don’t only install certain systems, like C-Bus, environexus, Fibaro. So far we are yet to find one product that does everything, it is more about integrating the different products in the market together to create the desired outcome. Lighting is one of the biggest parts of a smart home. In a home, we are constantly interacting with the lights. This makes an opportunity to automate many parts of this interaction. A basic feature is the common sensor light, only turning on when it sensors someone. The next step might be a light level switch, turning the lights on when it becomes dark. Then there is the manual switch that allows us to manually switch the lights on. The first part of automating your lights, is to link all the parts together. Once all the information is available, we can then make it smart. The motion sensor, the light level, the time of day, weather you’re home, if the door is open, all can be used to make a system that responds to your lifestyle in the best possible way. 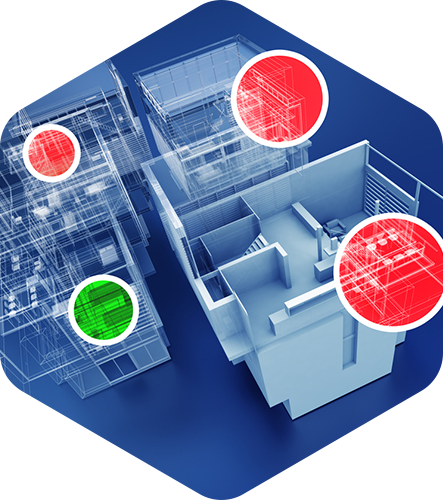 Home security ranges from the basic level of PIR sensors to fully integrated systems that allow remote access, and control of other systems. For example, 2 way integration with a home control system would allow the security system to turn on any combination of lights if the alarm is triggered, or disarm the security when you open the garage door. Keyless entry is a wonderful thing. Have the house unlock when you get home, or automatically look when you leave really does save time. 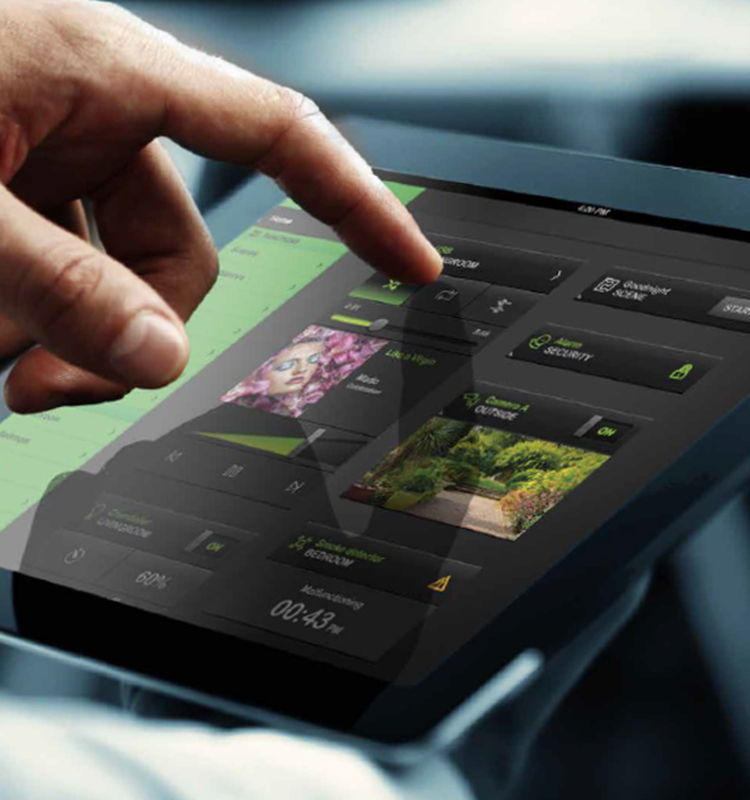 Access control systems work best when integrated into a full home automation system, although they can be used as a stand alone system, the benefits are just not quite as good. We provide upgrades to existing systems. In the fast moving market of home automation, you may discover that there are new things you would like to automate or control. Not limited to these brands/systems, but we have identified ways to improve the following systems. 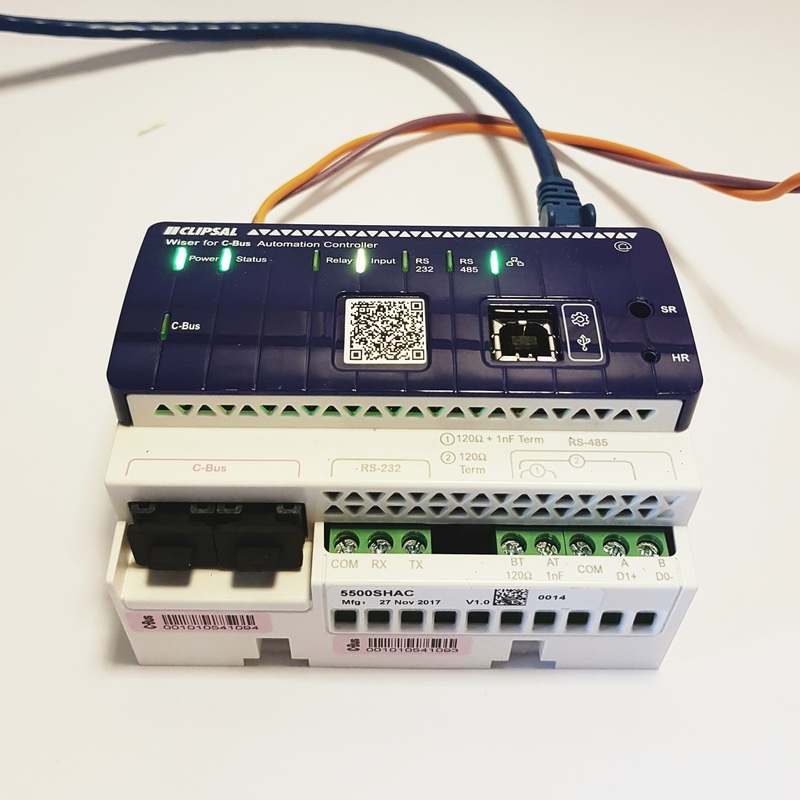 We provide upgrades to existing C-Bus systems to include new C-Bus products and features, as well as integration with other systems, like Z-Wave or Zigbee. Tablet/Phone control – Wiser for C-Bus allows local and remote control of an existing C-Bus system, as well as the basis for integration with other systems, and smart programming. Security system – There are a number of security systems that allow direct integration with C-Bus, capable of task like switching the lights on when the alarm is activated. Automation is about solving a problem, and we love solving problems!